Below are just a few of our ever growing menu of interactive game shows available. Remember we can create and custom design the right show and format to fit your plans and budget. 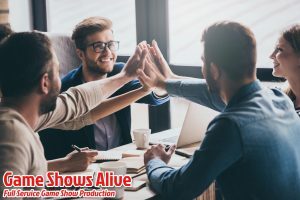 Any show; anywhere people want to have fun, Game Shows Alive is ready to win you compliments. The look and feel of the TV version. Divide your group into “Teams” as they try to discover how 100 people surveyed answered our questions. 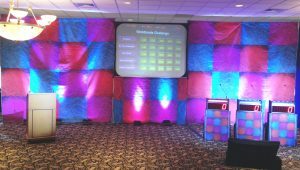 We compiled 100’s of stock surveys or we can create custom ones for you to make this event a memorable one. 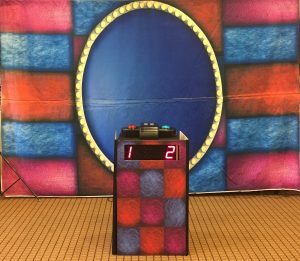 A fast paced fun show that combines the playing styles of “Jeopardy” and “Minute It To Win It’ where your group is divided into 4 teams working together to answer questions and win the light physical challenges. 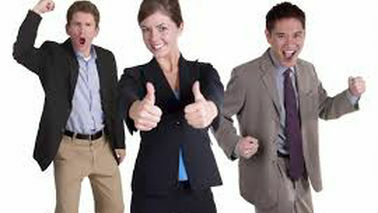 A great team building exercise or just for laughes, but sure to create long lasting memories. Spin the wheel and take a guess at a letter that will help solve the word puzzle. Quick thinking and a lucky spin will have you crowned the champion. We have re-formatted this game to play as teams also. Are you smarter than a ……. Co-worker, friend, boss, teacher or neighbor? We’ll find out how much you know about general trivia or the company’s new product line with this show that asks you to show your knowledge. Play in teams or individuals and show your spirit. Head to head or teams against teams, are just a few of the combinations of play for this game show. Knowing a little about something can make you or your team a winner. 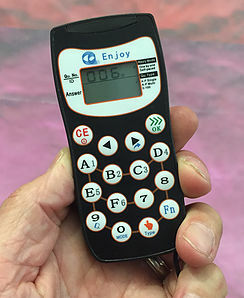 Everyone plays at the same time with a wireless answer remote trying to answer mulitply choice “not so common” trivia questions. Points are awarded for correct answer as well as how quickly they answer. Our software can jusge each answer to the millisecond. The leaderboard may change with each question. Prizes can be awarded for top scoring layer. Teams work together to complete the task assigned. Each challenge will require 3-6 players from each team working together to complete the task. Points are awarded on how quickly the teams finish. This show is guaranteed to create a wild and hilarious time. You group will be divided into teams that will compete against each other trying to answer general trivia questions as a team. 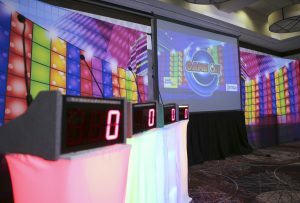 The game is made up of 3 question rounds each featuring different topics, the teams will decide to bet either 1,3 or 5 points on each. If correct they will gain the pionts assigned. During the play there will also be “Bonus” questions where the teams will be able to bet a larger amount of accumulated points. The scores will change after each round and the competitive juices are sure to flow. This isn’t your Grandmother’s Bingo. Instead of listening to numbers being called (yawn!) we will play different music tunes that your guest will have to try to figure out the name to see if it appears on their Bingo card. Your guest can work together and even sing along to the tunes. 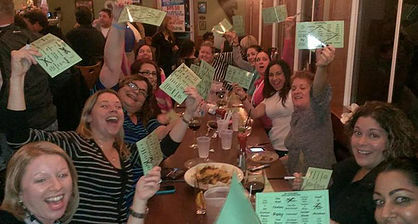 This combination of Bingo, trivia and Sing-A-Long will make for a memorable event.